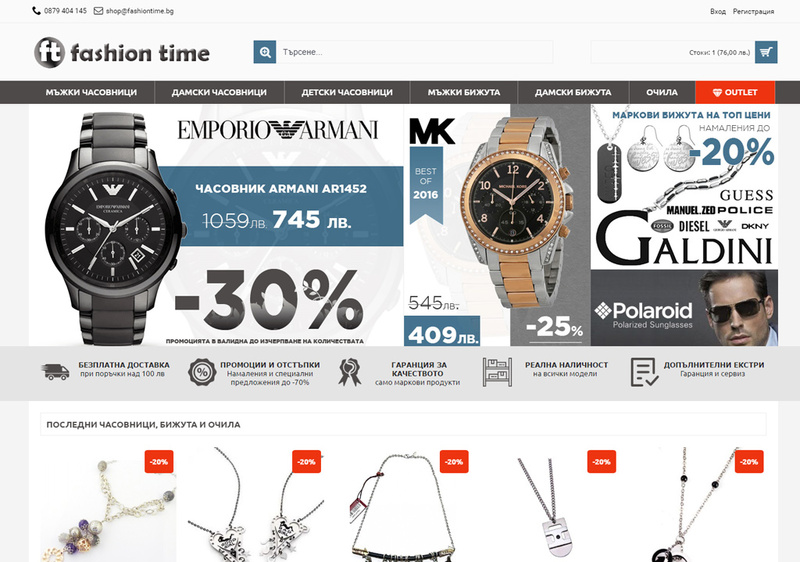 Fashiontime | Moven Soft - Web design, SEO optimization. 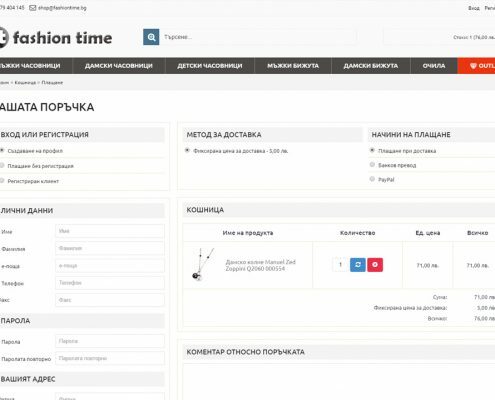 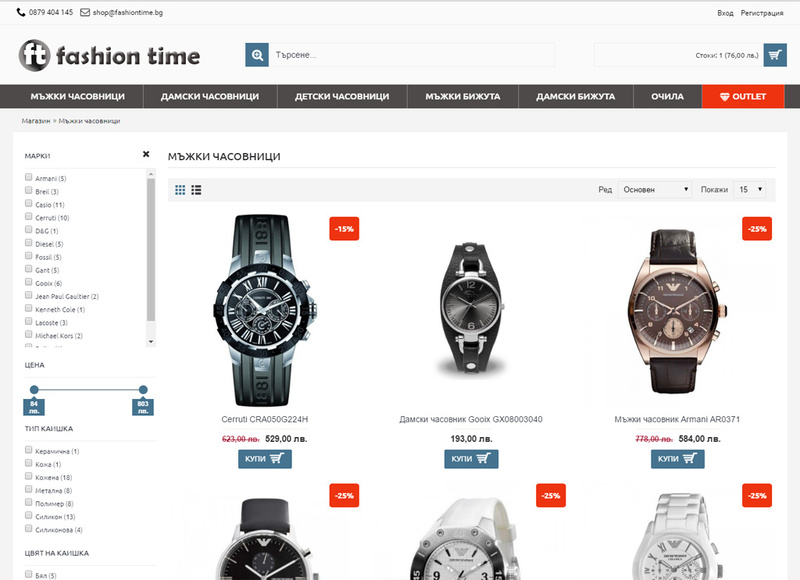 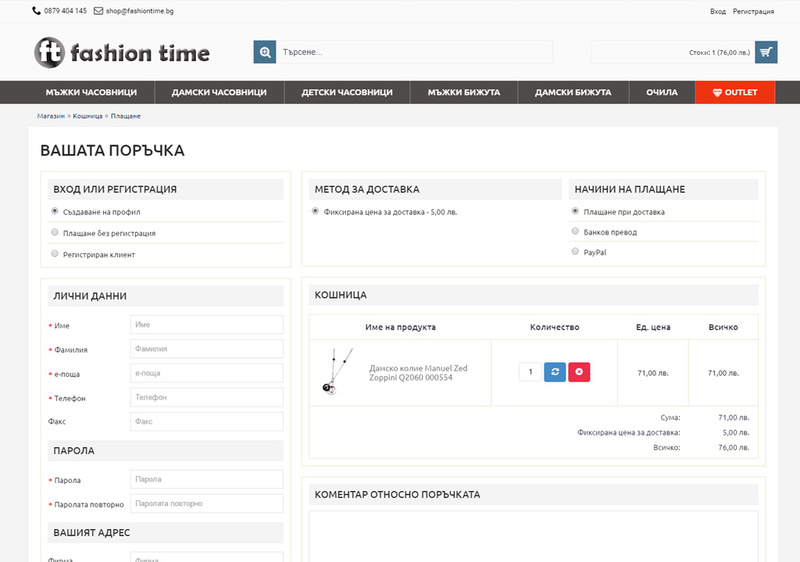 The online store „Fashiontime.bg“ is owned by „Moven ‚Ltd., which is an importer and retailer of men’s and ladies watches, jewelry and sunglasses from leading brands. 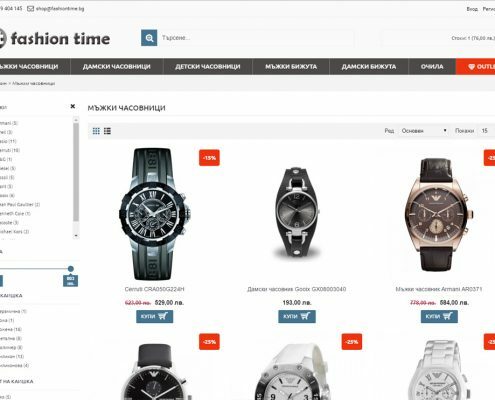 Our shop is located in a MAXI Trade Center, located in the town of Pleven. 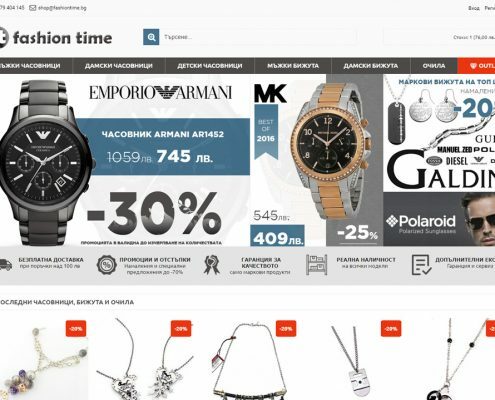 Our goal is to present a greater range of customers products from designer collections of popular brands and competitive prices.